Would you like to buy a Bengal kitten? Learn more about their history and characteristics or simply know how to take better care of your Bengal cat? You have come to the right place! ﻿Thank you for visiting Lap Leopard ﻿Bengals. 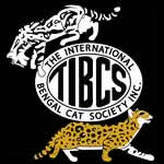 We appreciate your interest in Bengal cats and share your enthusiasm with respect to this fascinating breed. In addition to this site, Lap Leopard Bengals owns and operates a Bengal cattery which only breeds Bengals. The main cattery has recently relocated to the Georgia Florida area from Connecticut. Therefore, the main Cattery continues to operate in Georgia and Florida while also personally driving 18 straight hours back kittens to Norwich Connecticut to service New York, Massachusetts, Rhode Island and basically cat enthusiasts throughout New England. Additionally, there are satellite branches now from the main cattery, known as Co Sponsor Breeders, operating throughout Connecticut to all assist Lap Leopard Bengals in bringing the wait times down. We also gladly use Delta Cargo to ship to the Continental United States. Our site is dedicated to helping people learn more about domesticated Bengal cats, how to take care of Bengal cats and to also help you understand why you should consider buying a Bengal kitten form Lap Leopard Bengals. If you don't find the information you are looking for regarding Bengal cats or Bengal kittens please feel free to reach out to us and we will try to help you find the answers your looking for. Bengals 101 - featuring the Sire of our Brown Sugar! With Bengals you get affection, intelligence, and an energetic cat that gets along with other pets. Bengals will fetch, play in water and learn tricks. They like high places where they can sit and observe the world around them. Bengal cats come in a variety of colors including brown , silver, and snow and they are spotted (rosetted) or marbled. They have a short single layered coat called a pelt like that of a ALC (Asian Leopard Cat). 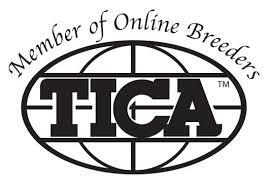 All of our Bengal cats are registered with The International Cat Association (TICA) and come with age appropriate vaccinations and a health guarantee. This cattery has not been inspected by and is not endorsed by The International Cat Association, Inc.
We are proud to announce that Lap Leopard Bengals was featured on Better Connecticut News Channel 3 on October 9, 2015! !